OPINION: Signs in multiple languages, and restored Alaska Native place names are an important first step. But protecting indigenous languages in the Arctic will require more than just that. Over the last two decades, Alaska has witnessed a major transition in official state policy toward Alaska Native languages. But it’s far too soon to say whether it will make a difference in the vitality of the languages used in Alaska. In 1998, more than 70 percent of Alaska voters backed an initiative that declared English as the official language. This came about because of a campaign launched by a Lower 48 pressure group, but the idea found an eager audience in the North. “Persons who speak only English may not be denied state jobs or services. The bill does not affect private sector use of non-English languages,” the measure declared, though no one had been denied state jobs or services. While some people regarded it as mere symbolism—like recognizing dog mushing as the official state sport—it was insulting to the linguistic and cultural heritage of Alaska’s indigenous people, as well as to speakers of other languages. The change was a symbolic one, as it came with a statement saying there is no need to conduct meetings or government business in any language other than English. But it was also an official endorsement of the idea that languages are a vital cultural tradition, worthy of preservation. That Native languages are vulnerable, with many on a rapid path toward extinction, has been clear for decades. Across the Arctic there is a growing recognition of the need to preserve indigenous languages, as seen in such efforts as the Arctic Languages Vitality project of the Arctic Council. A 2003 study on northern languages found that since the 1800s, 21 language have become extinct — 18 in Russia, one in Finland, one in Canada and one in Alaska. The Alaska Native population has grown, but there are fewer people speaking the 20 Native languages. In some cases the only fluent speakers are grandparents, meaning that there are generations of Natives missing out on their heritage. Last spring the Legislature backed a resolution declaring a “linguistic emergency” for Alaska Native languages. Last month, Alaska Gov. Bill Walker signed an administrative order calling on state agencies to get involved in preservation and promotion of Native languages. Of the many specifics in that order, one was to add Native names on public signs and promote Native place names. The Alaska Native Language Preservation and Advisory Council had asked for action by the legislature and governor, warning that languages are disappearing. The advisory council called on the state to do more to support the learning and speaking of Native languages. “If current rates of decline were to continue as they have been since the 1970s, all Alaska Native languages may lose their last fluent speakers by the end of the 21st century,” the report said. 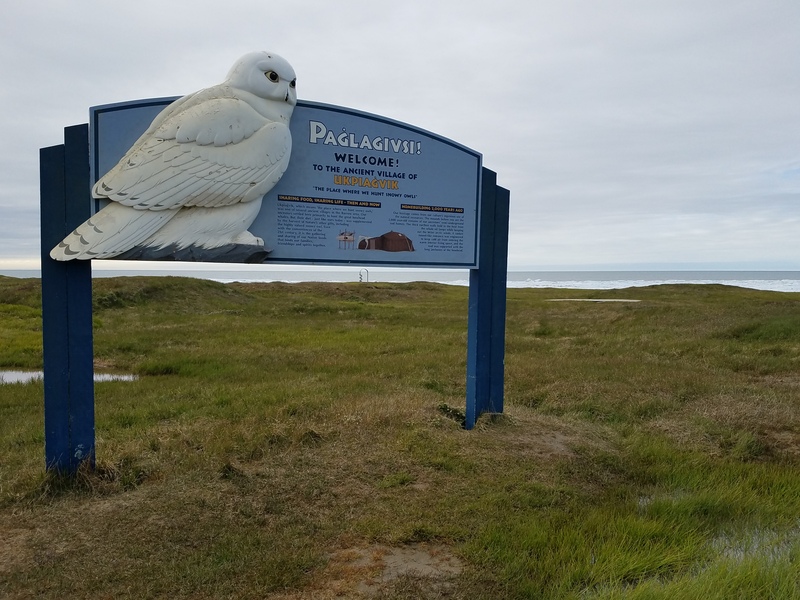 There are some languages with fewer than 10 fluent speakers, while the language considered the healthiest — Central Yup’ik — is deemed vulnerable in five to eight villages where it is spoken and endangered in all of the rest. There are fewer than 10,000 speakers of Central Yup’ik and fewer than 2,500 speakers of Iñupiaq. If Native languages are to be revitalized in Alaska, it won’t be because of an administrative order or new road signs. It will take a collective effort in which the state and local governments work with Native communities, regional corporations, village corporations, local nonprofits, schools and families to make this a lasting priority. Writing about linguistic diversity in the Arctic in a 2013 report, scholars Tom Barry, Lenore Grenoble and Finnur Frioriksson said there are multiple successful examples of language revitalization. “Whether it is sufficiently important to invest the time and resources needed to make revitalization a reality is, however, a question which politicians in the North, as in most other parts of the world, need to ask themselves sooner rather than later,” they said.